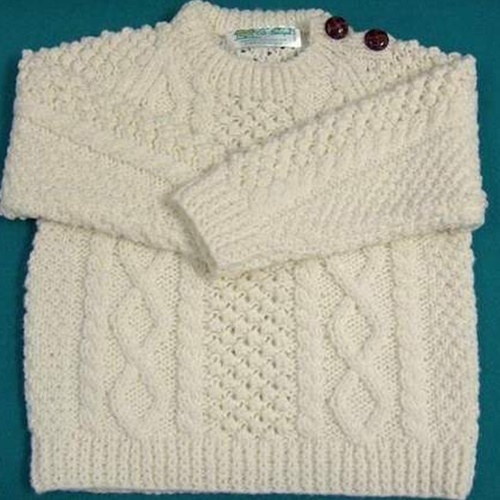 The quality construction of our Aran Button Boys/Girls Crew will ensure this piece gets handed down through the generations. 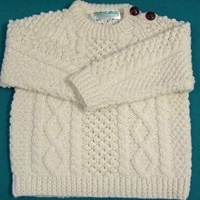 Detailed hand-knit soft ivory acrylic is embellished with two traditional brown leather buttons at the shoulder. A handsome garment to keep our little lads and lasses warm.